Top > Study > Private information > Accidents about personal information. 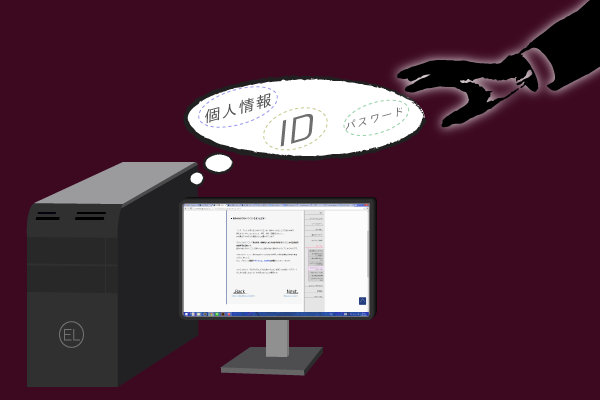 ■ Accidents about personal information. When a large scale that leaks of personal information accident happens, it is greatly brought up in the news. There are a lot of accidents that leaks of private information more than 1 million, and it has an great impact on the world. Cyber crime is one of the cause that leaks of personal information happens. A large quantity of personal information is robbed by unjust access of the cyber attack. The security technology is improving everyday, but cyber crime is becoming skillful, and the offense and defense by both are repeated. ▲You should know about the fact that there are a lot of cyber attacks to rob personal information. At this moment, the Internet is used widely and everyone possible to leaks personal information by these accident. At the same time to be consciousness, you should better take care of a little thing for example completeness of password management.